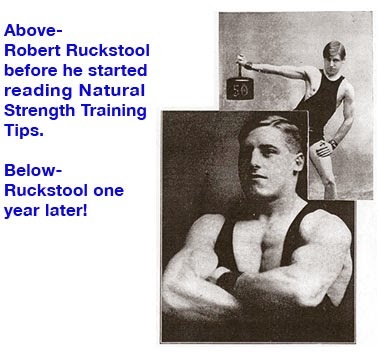 Originally posted on NaturalStrength.com on 06 October 2003 *Pictures are randomly selected and are not necessarily from the book. It is not at all improbable that many persons will raise objections to the title of this book, on the grounds that the Road of Life, which I may point out, is by no means one which the average person would wish to tread. 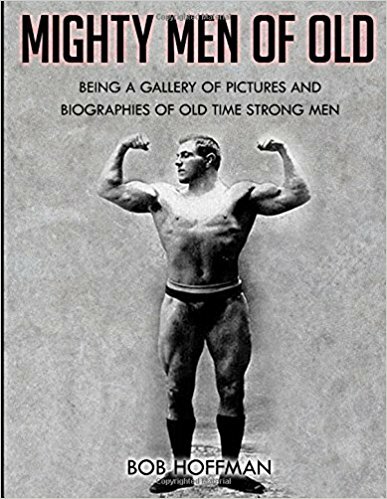 These will very probably suggest (without having troubled to read these pages) that they have no desire to distinguish themselves either as wrestlers or as weight-lifters, and that in consequence Hackenschmidt's Way of Life must necessarily diverge pretty considerably from theirs. 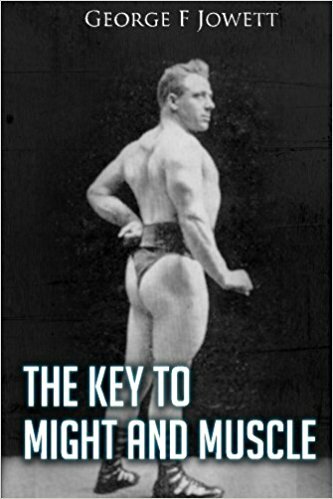 But, as will be seen, it has not been my design to confine myself to laying down a series of rules for strong men and athletes only; my object in writing this book has been rather to lay before my readers such data as may enable them to secure Health as well as Strength. 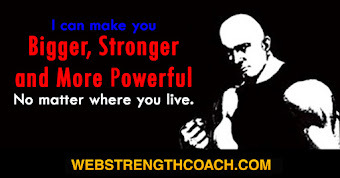 It is true that a large section is devoted to exercises, etc., which will tend to the development of Strength, but then, surely, it is the desire of every man to increase his physical powers. Health can never be divorced from Strength. The second is an inevitable sequel to the first. A man can only fortify himself against disease by strengthening his body in such manner as will enable it to defy the attacks of any malady. The progress of civilisation has been chiefly marked by the progress of Medical Science. The study and practice of Surgery and Medicine have grown amazingly during the past few generations. Sanitary arrangements have been almost perfected, while the precautions and safeguards against disease, which have been instituted by states and municipalities, are simply admirable. Despite all these improvements, one can scarcely come across any official health report which not bewail an all-round degeneration of physique. There are fewer plagues and pestilences, but there would appear to be an infinitely greater number of sickly, weedy, stunted people than there used to be. The reason is not far to seek. There is a universal urban migration, a vast increase in the numbers of those who are engaged in indoor and sedentary occupation, and only here and there is any attempt made to combat the consequent unhealthy conditions of life with the only satisfactory weapon. 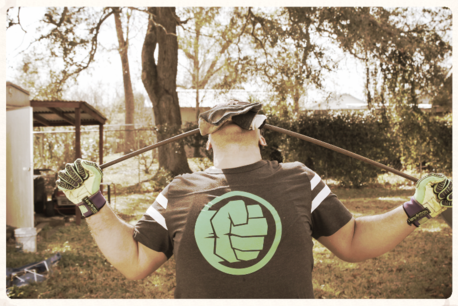 Rational Physical Exercise. 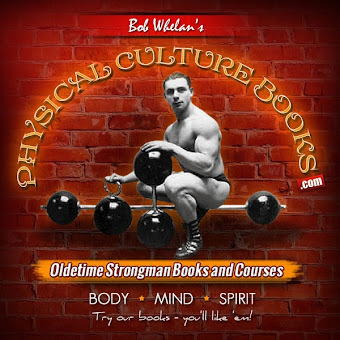 Unfortunately, the majority of people seem to associate the words Physical Culture with huge muscular development. Men who do not entertain any ambition of figuring as professional athletes consequently omit to pay any attention to the care of their bodies. They do not wish to be ill, but they nevertheless appear to consider that occasional ill-health is the inevitable fate of every son of Adam and must be endured, if not exactly welcomed. Now, apart from extraordinary causes, there is absolutely no reason why any man why any man should ever be ill, as long as he keeps his body physically fit as to safeguard it against any breakdown. Fifteen or twenty minutes' daily exercise will be sufficient for this purpose. Surely no very heavy price to pay for such a valuable result. This is no idle, unfounded claim. Any reader who would fancy it to be such, need but make say a fortnight's experiment of the course prescribed. Even before that period expired, the beneficial result would be readily perceived. The exercise, however, must be rational, suitable exercise. Movements such as these will tune up the whole frame and keep every organ and muscle working harmoniously together. I do not claim to be the first preacher of this gospel, nor could I venture to pose as such, seeing the vast library of books, which have been published from time to time, on this subject of Physical Culture and its advantages. But from a more or less complete study of the said works I have come to the conclusion that the vast majority of them, or at all events of the most instructive ones, have been so written as to be largely unintelligible to "the man in the street," while others, and these, unfortunately, by no means the least popular, deal almost exclusively with systems of exercise which their authors have never practised themselves, nor which, to my knowledge, have ever been practised by any really strong man. I have, therefore, confined myself to dealing only with such systems of exercise, diet, rest, etc., as my own observation and experience have shown thoroughly sound and reliable, proved to be such in numberless instances, and in describing them have sought to set down my views in such language as will be readily comprehended by every reader, avoiding as far as possible all unnecessary technical details. Whether I have failed or succeeded in these endeavours remains for my readers to judge. There is one point on which I would wish to lay stress, and that is, that no matter what age a man may have attained, he is by no means too old to commence exercise. 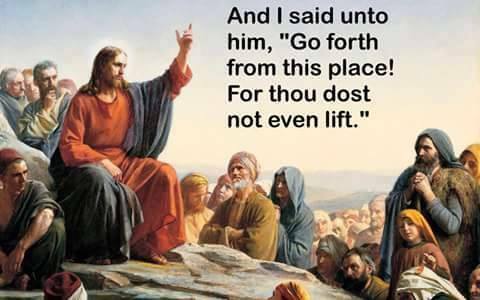 I have devoted several pages to exercises with heavy weights, for the purpose of developing Strength (with a capital S), and I sincerely hope that none of my readers will be frightened on this account. 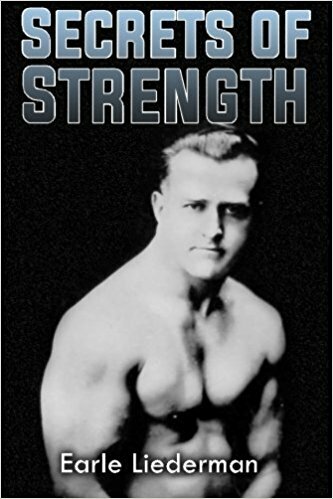 It may be suggested that there is no reason why a man should go to the trouble and exertion of struggling with heavy weights, since there is no crying necessity for that particular man to acquire any phenomenal degree of strength. To that I would reply by asking why a man should desire to be weak? He was endowed by his Creator with muscles and sinews which would enable him to cope successfully with such physical feats as he might be faced with during his earthly career. Modern social conditions have deprived him of that open-air life and hard physical exertion which would have kept those muscles and sinews in good condition and sound working order. But since he has been separated from the natural physical advantages, which were freely offered to him in bygone centuries, he should surely avail himself of the efficient substitutes which are offered to him by trained and practised physical culturists and the method of which I have here endeavored to set forth. 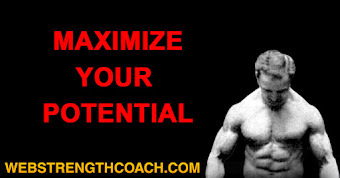 For it is only by exercising with heavy weights that any man can hope to develop really great strength. 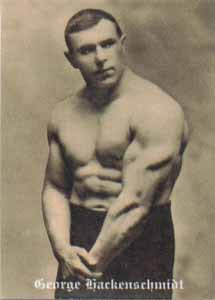 He should of course combine these exercises with skipping, running, jumping, and gymnastics of every description in order to similarly develop his activity and agility, but unless he sedulously carries out the bar-bell and dumb-bell exercises as well he can never acquire really great physical powers. The man of forty or fifty, however, who has passed the age when the desire for great strength is still active and who only desires the acquisition and preservation of health may content himself with the exercises designed for the elderly for that end. But I would strongly urge on all such, that it is their bounden duty to encourage, by every means in their power, the pursuit of Strength by all the youths of their district. Persuade the boys and young men in every locality to band themselves together for the purpose of forming Physical Culture Clubs and Gymnasia, where they can exercise and develop their bodies. Enthusiasm will soon be evoked. The public-houses and other even less desirable resorts will suffer (no bad result this), the country and the human race will benefit; or will the minds of the youths in question lack a sympathetic development. The old notion that physical prowess was inseparable from a dull intelligence is completely exploded, and happily so, seeing that it was about the most harmful notion which has ever been entertained by man. A boy whose attention is directed to physical exercise will speedily recognize its benefits and healthful pleasures, and will consequently readily and instinctively avoid all harmful excesses. He will also inevitably develop an interest in his own anatomy and thereby in what are now known as "the mysteries of life" ; soon, it is to be hoped (by the spread of Physical Culture), to become less mysterious than they have been hitherto.